Keep your message on their mind all year long! Four-panel monthly spiral calendar features three calendar pads so they can view three months at a time. Calendar pad pages tear off to reveal the next month! Practical 14-month calendar clearly identifies holidays and other special remembrances. 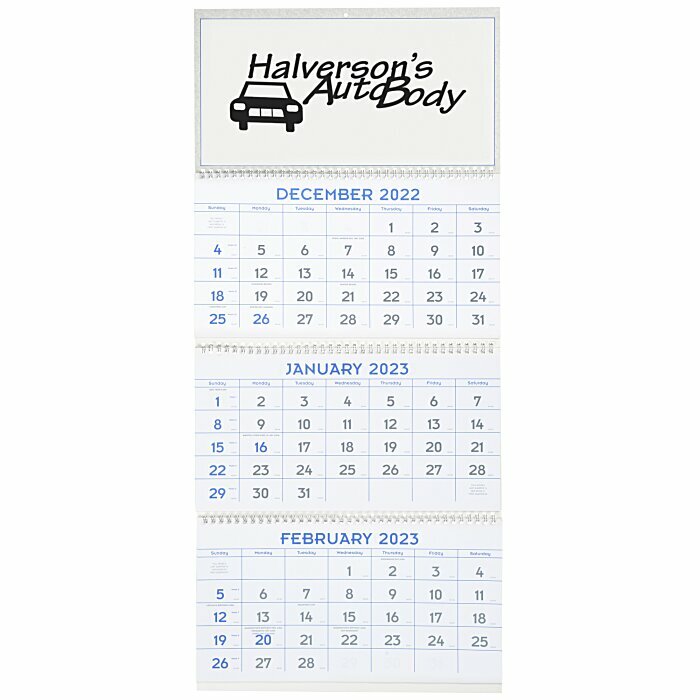 Durable calendar constructed with 50# matte paper. Gift envelopes available for an additional charge; please indicate the quantity desired in the additional comments section during the ordering process. 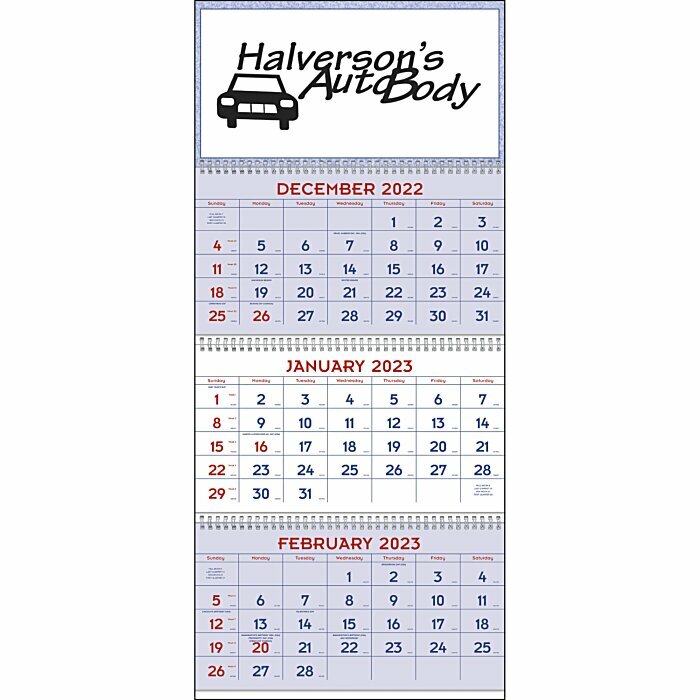 Your price includes a one color imprint on the top panel of the calendar.